NEWPORT BEACH — Rounding up interest in dredging projects, possibly funding a public pier with private money, and bringing back an anchorage were among the topics broached at the Newport Beach Harbor Commission meeting on Feb. 10. Commissioners hope to drum up additional support for a temporary anchorage, which could return in time for summer, at the Turning Basin. Newport Beach most recently tested a temporary public anchorage in the same area last summer. Harbor commissioners discussed the possibility of a temporary public anchorage in time for the upcoming summer season, with hopes it would be used by more customers. Avery said two to four boaters visited the previous temporary public anchorage daily and the city received no complaints. One resident said the public anchorage is not aesthetically pleasing. He added there were some who wanted to complain about the previous temporary public anchorage but they had no idea where to file a complaint. Commissioners will revisit the temporary public anchorage topic at its next meeting; part of the discussion could include whether the commission should enact a size restriction for the anchorage. The Harbor Commission drafted a letter to send to the California Coastal Commission requesting a coastal development permit application filed by Newport Harbor Yacht Club be approved. Newport Harbor YC is seeking to renovate its clubhouse and would fund the construction of the planned Central Avenue Public Pier. Approving the application, harbor commissioners stated, would allow the yacht club to renovate its clubhouse and fulfill the Coastal Commission’s coastal access requirement. The yacht club’s funding of the public pier construction as part of its clubhouse renovations plans would help Newport Harbor YC provide additional public access to the city’s waterfront. In 2012 the Harbor Commission set a goal to facilitate visitor access to the harbor area’s businesses and amenities, either by improved existing piers or finding opportunities to build new ones. “Our research identified Lido Marina Village as the most underserved area in Newport Harbor, lacking availability of a public pier,” the letter stated. The Harbor Commission letter added Central Avenue is an ideal location for a new public pier for several reasons, such as availability of space, proximity to parking and pedestrian paths, and access to marine-serving businesses. City officials said design plans for the public pier could be ready by the summer. 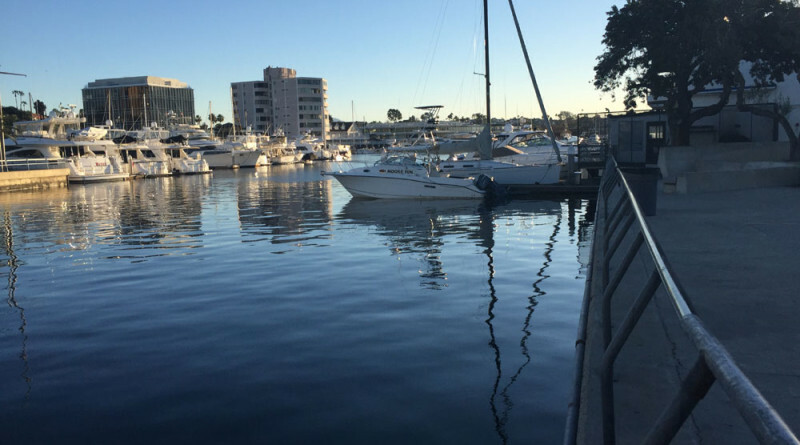 There were two hurdles to clear at the time of the Harbor Commission’s meeting: the yacht club’s proposed financing of the public pier still needed to be approved by Newport Harbor YC membership and the Coastal Commission. Harbor Resources Manager Chris Miller said the public pier project could still go forward as planned even if private funding from Newport Harbor YC does not happen. Newport Beach is trying to ramp up interest for dredging permits, thanks to a recent issue of the RGP-54 permit by the federal government. The RGP-54 permit grants the city authority to approve local and small-scale dredging projects. Commissioner Doug West said there is a finite group of people who would have interest in dredging, so it is a matter of finding them and letting them know they could apply for a permit. “Newport Beach should be recognized everywhere for its environmental leadership,” West said. A majority of the filed pre-applications – essentially an interest list – were reportedly from Linda Isle. The commission and Harbor Resources would continue to determine the most efficient way to spread the word about obtaining a local dredging permit. The next Harbor Commission meeting is scheduled for March 9 at Newport Beach City Hall.